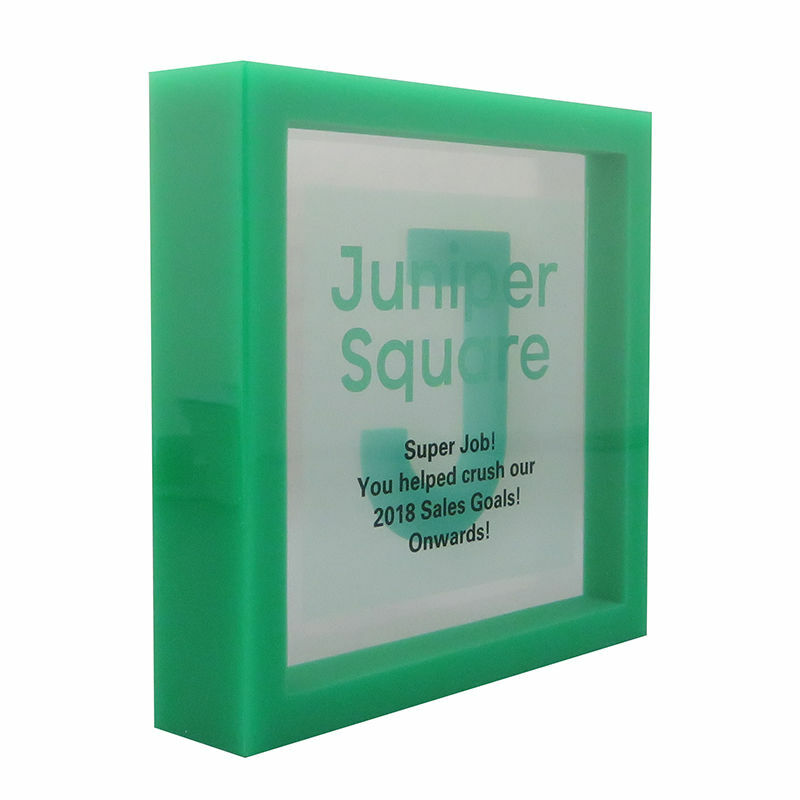 Custom crystal sales achievement award designed for, and incorporating the logo of, the financial technology firm Marqeta. 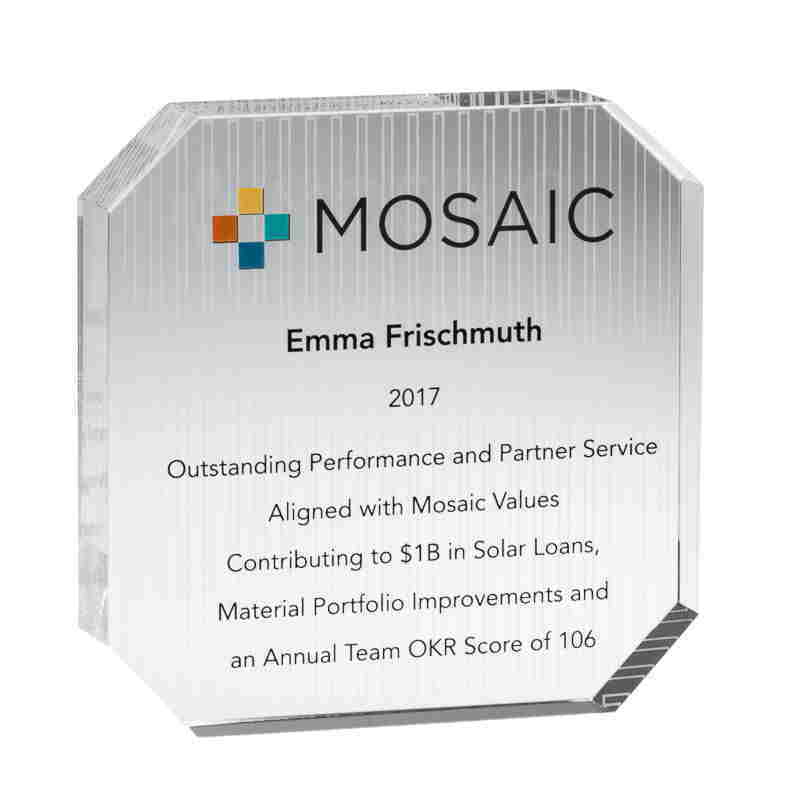 Marqeta is based in Oakland, California. 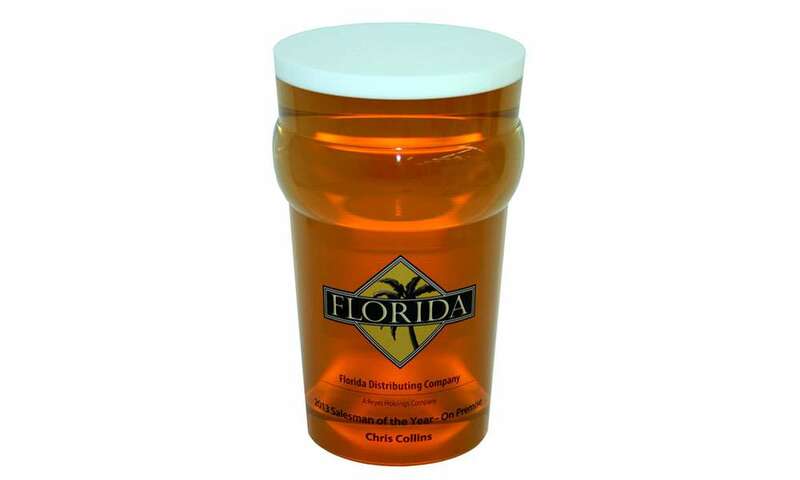 Beer glass-themed custom Lucite recognizing sales achievement at Florida Distributing Company. The Orlando=based beer distributor serves retailers in Central Florida. 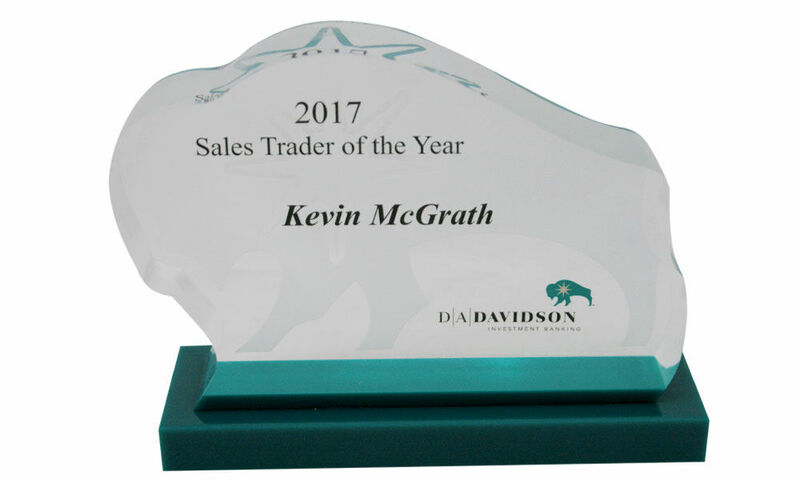 Bison-themed Sales Trader of The Year Award. 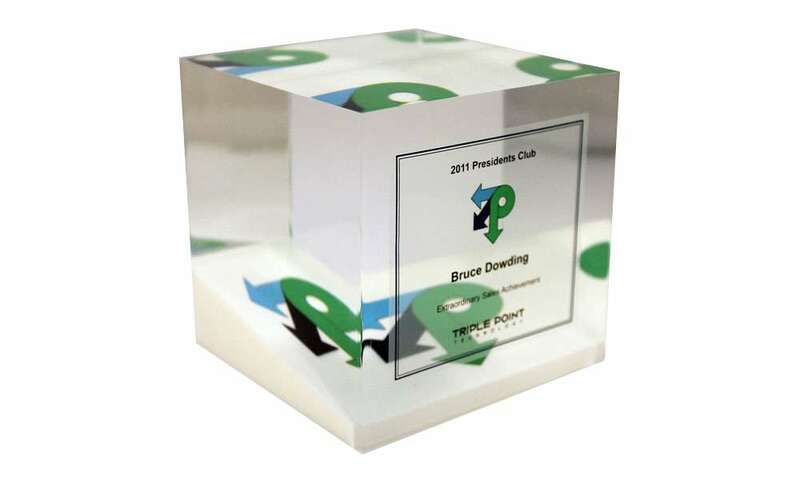 Custom Lucite President's Club sales award designed for Connecticut-based software company Triple Point Technology. 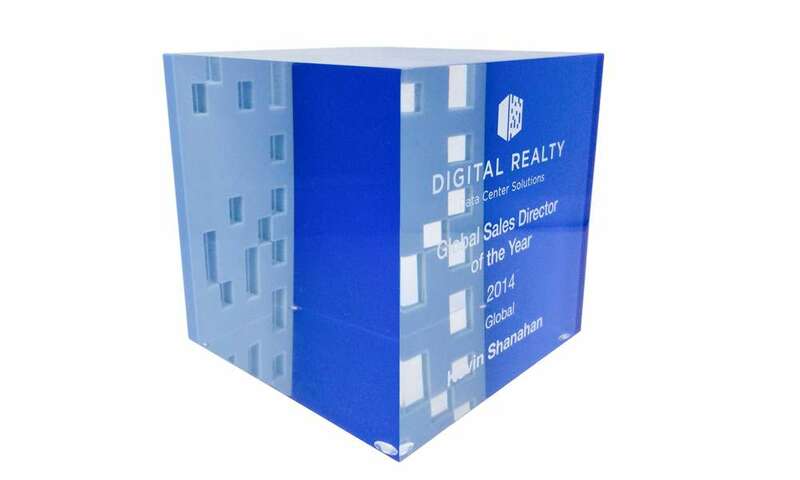 Custom acrylic sales award designed for cloud services provider Digital Realty. 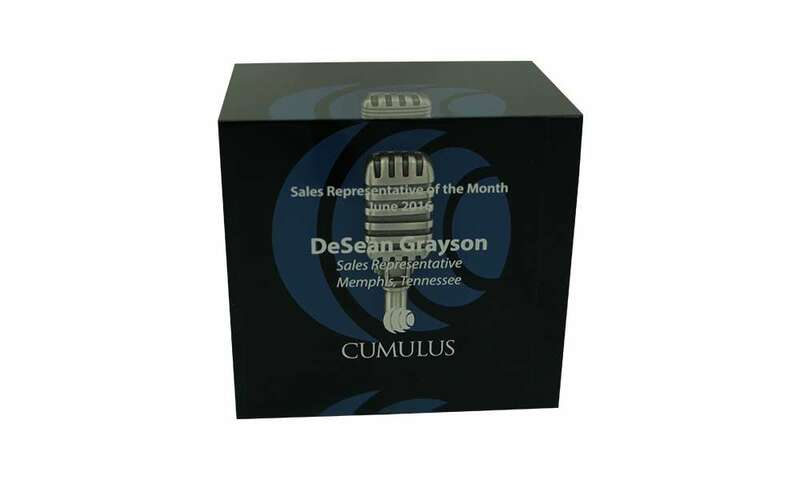 The firm has operations internationally with its corporate headquarters located in San Francisco. 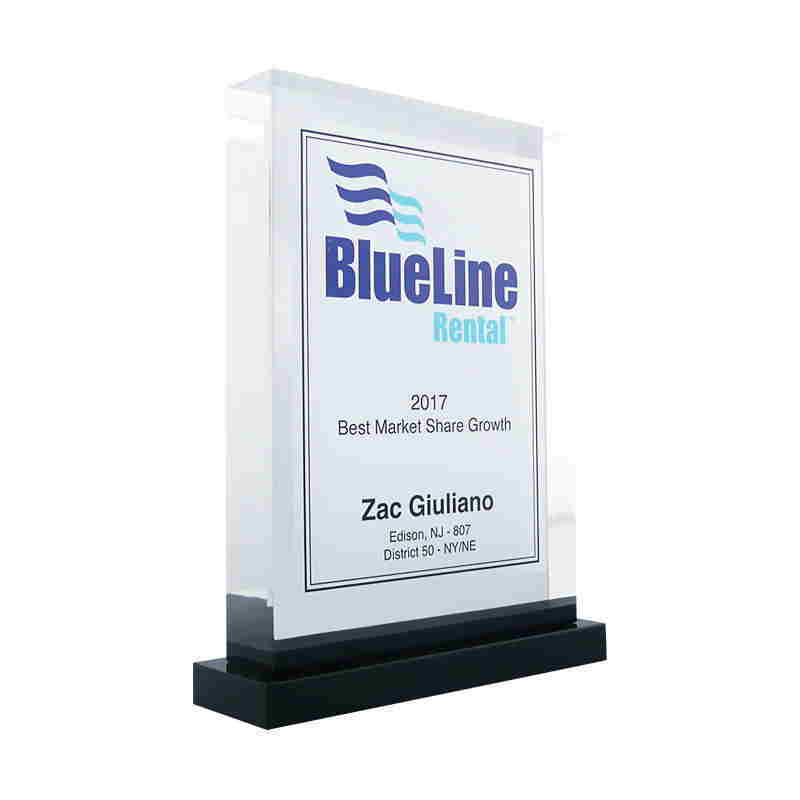 Acrylic rectangle achievement award honoring market share growth at Blueline Rental, a New York-based firm providing construction and heavy equipment rentals in North America. 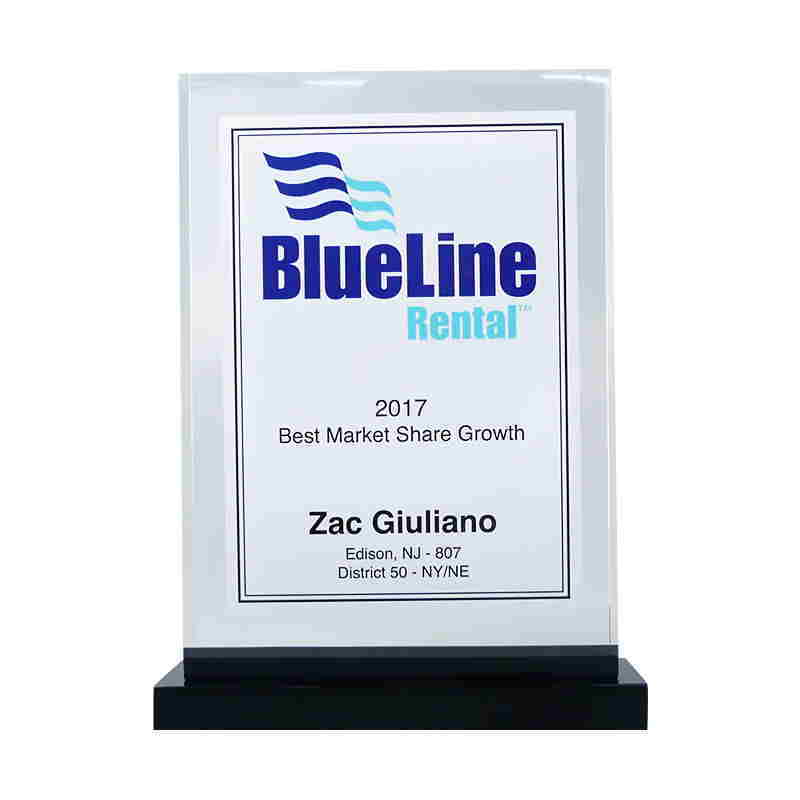 Acrylic sales achievement award recognizing market share growth at Blueline Rental, a national construction and heavy equipment rental firm based in New York. 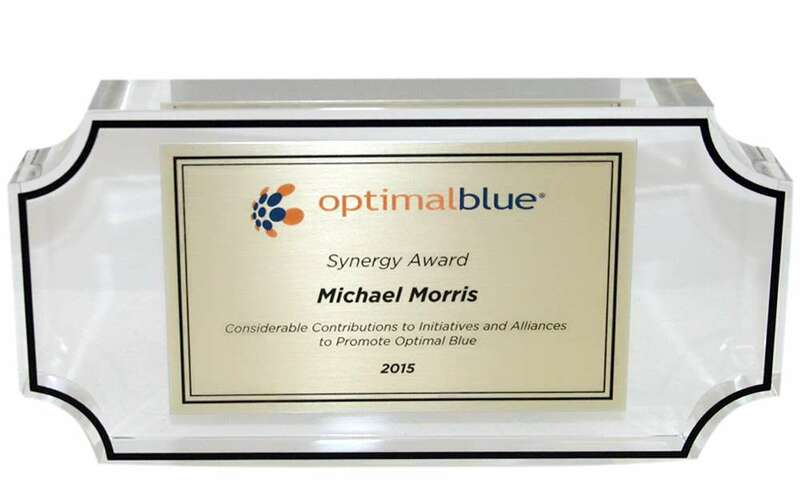 Optimal Blue custom Lucite recognition award. 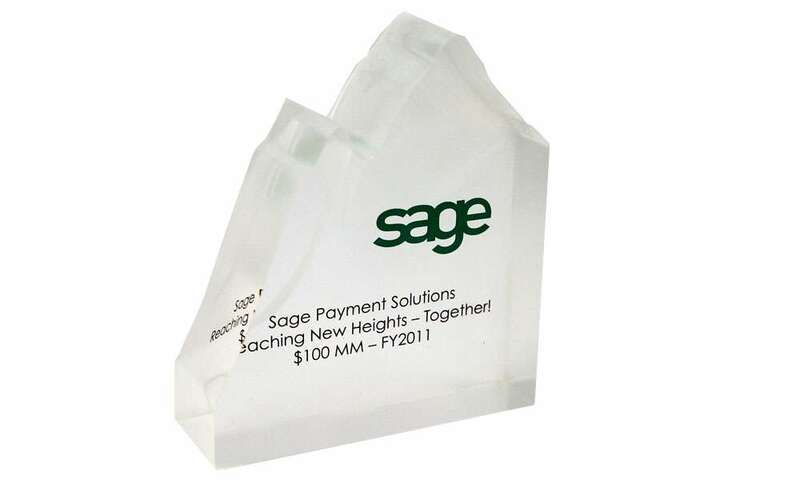 Mountain-themed custom acrylic award recognizing the achievement of record sales at Sage Payment Systems. 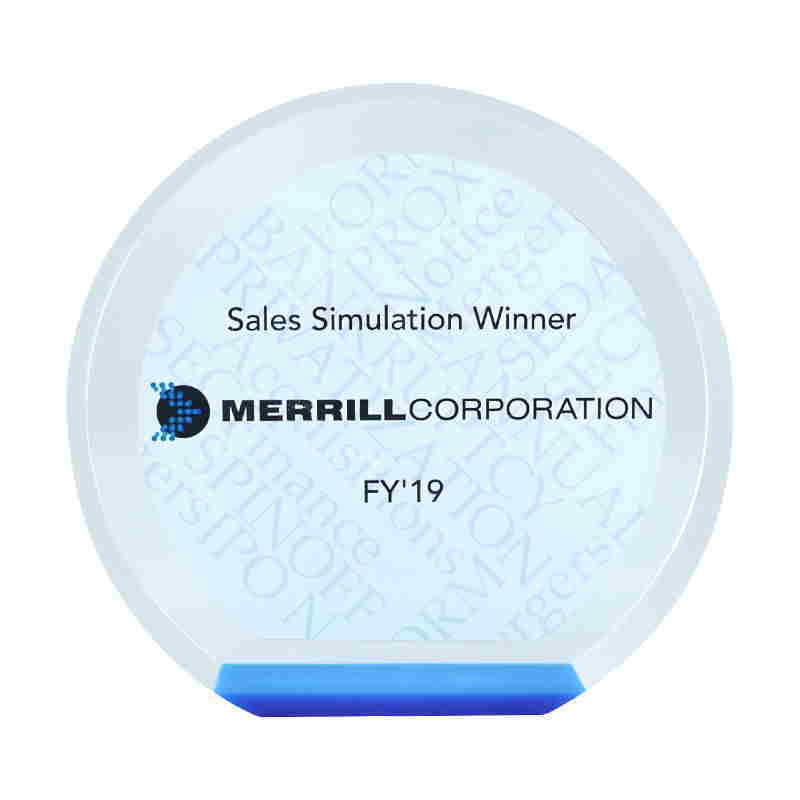 Based in Reston, Virginia, SPS is a provider of merchant payment processing systems. 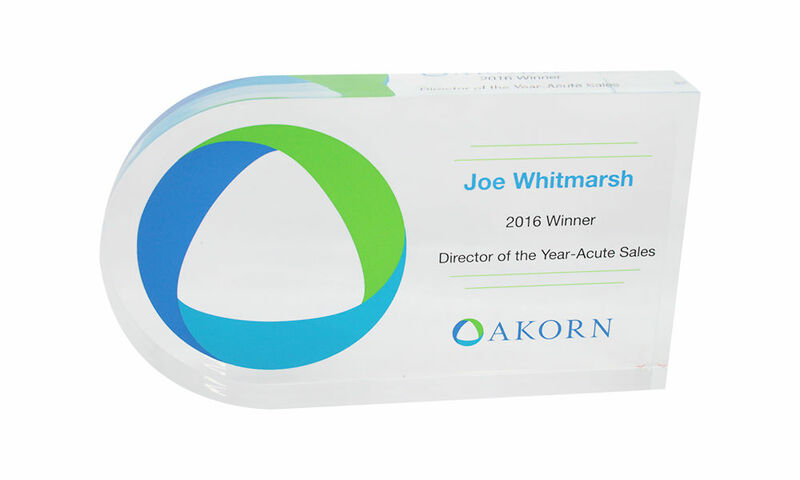 Custom acrylic sales award presented by Akorn, a generic pharmaceutical manufacturer headquartered in Lake Forest, Illinois. 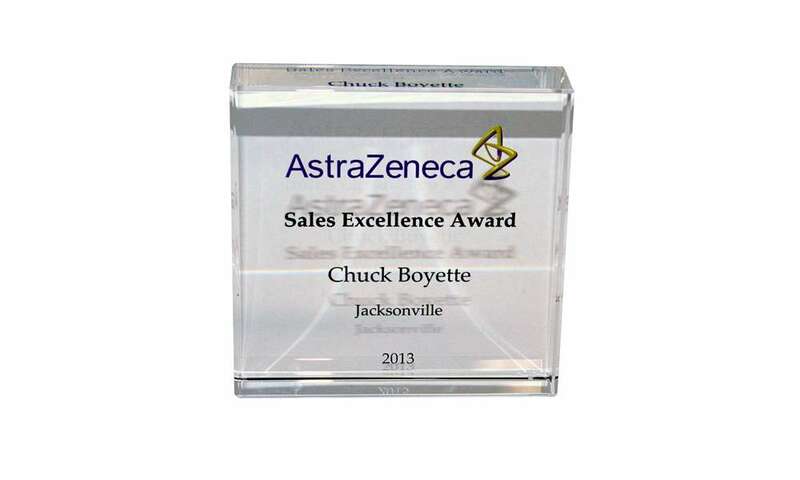 Sales excellence award presented by AstraZeneca. 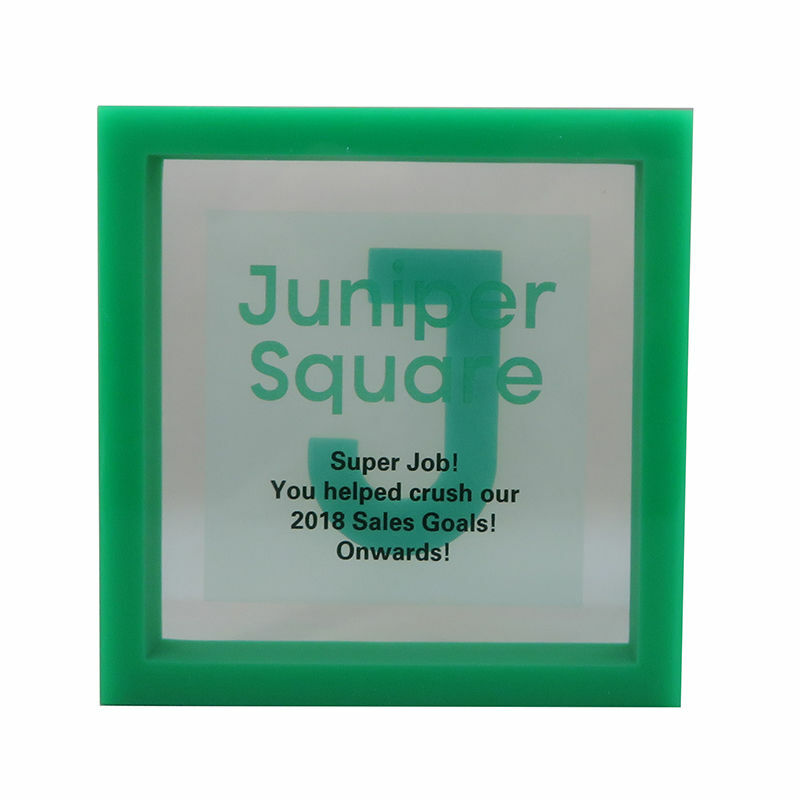 The pharmaceutical and biopharmaceutical company is headquartered in Cambridge, United Kingdom. 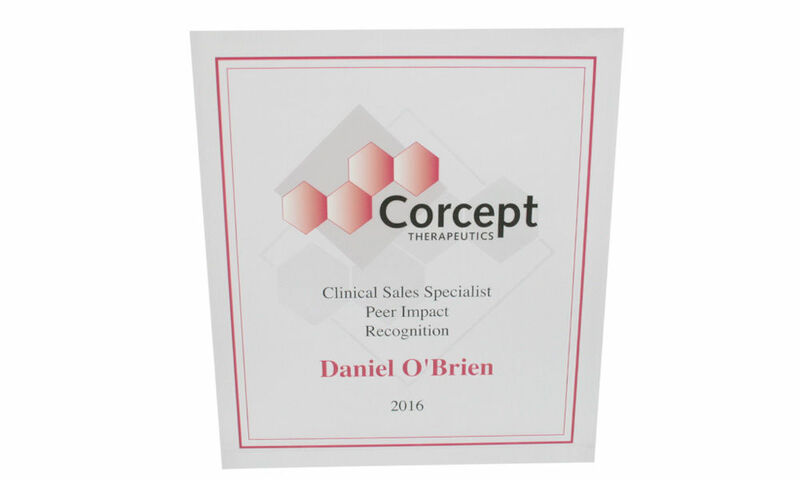 Custom Lucite award recognizing achievement in clinical sales at Corcept Therapeutics, a Menlo Park, California-based pharmaceutical company. 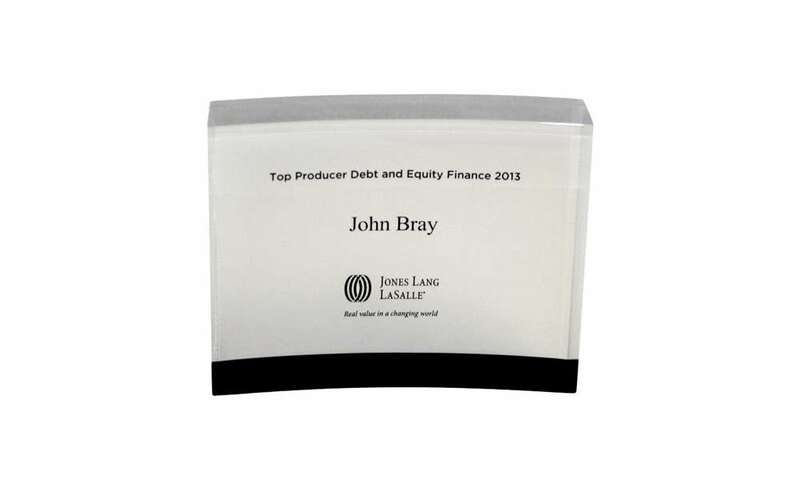 Custom acrylic curve award honoring the top producer in debt and equity finance at commercial real estate services firm Jones Lang LaSalle (JLL).